Movement breaks are brief intervals that enable all students to move their bodies and help teachers and tutors to engage learners in physical ways. Chants, poems, greetings and activities can be used as movement breaks throughout the day. Intersperse quick movement breaks into the day to bring oxygen up to students' brains and refuel them for learning. Often times, squirming, calling out, staring out the window, lack of motivation, and other such minor misbehavior are clear signals that students need to get up and move to refocus! Visit our Movement and Brain Break page for more ideas, videos, research and resources on how to incorporate these into your tutoring sessions. Brain Breaks are great, especially after a long day at school or late in the evening. After you have worked on a story for awhile, take a little break to do some movement or chat about something unrelated. Tell your student that you will say "home base" or some other cue that lets them know it is time to get back to work. 1. Talking! Research has taught us that learners don't learn much from sitting and listening. The talking internalizes what they've learned. 2. Visuals! Vision is the strongest of the senses. Talking alone isn't enough. Make sure students have plenty to look at. Use drawings, pictures, guided imagery, visualizations to help them learn. 3. Shake it up! If you do the same thing, exactly the same way, it becomes boring and the brain tunes out. Once in a while have a backwards day, turning the whole schedule around, change the seating arrangement or do one activity completely different. 4. The brain needs oxygen! They say 20% of all the oxygen used in the body is used by the brain. That means we need to get the kids up out of their seats regularly and moving! Check out the video of some brain break exercises! 5. Make Connections! We talk about connections in books a lot, but connections are important for the brain. It can't hold random information, it need to connect to something else that's already there. You can makes connections through your own experience and stories. Thinking aloud is under rated. Many struggling readers and writers only see successful students and adults answer questions, choose books and read aloud. They don't, however, see the strategies that we are using in our heads. Thinking aloud gives your struggling reader or writer the chance to watch you use your strategies and then mimic them. Click on the link below to watch a teacher use think aloud strategies to help her students with their reading strategies. Strategies for Tutors: The Northwest Regional Educational Laboratory suggests other ways to build your student's confidence! Since you are not responsible for testing or giving grades, you can be encouraging and positive about a student's efforts. If you recognize specific skill development -good thinking, creativity, tone, rhythm -praise will help reinforce further development. Just remember that older students won't welcome excessive, misplaced or false praise. You might notice when the student arrives on time, remark that you enjoyed your last conversation, say you've been thinking about what he said, or find an article that supports her point of view. These interactions will create a positive, trusting, and meaningful tutoring relationship. Evaluating skills and measuring progress are always important, but you can encourage your student to think about her own work, critique her own strengths and weaknesses, and set goals for improvement. Many reluctant readers actually enjoy and benefit from reading aloud, especially in a setting away from the classroom and their peers. Give your student the choice on who starts reading aloud (you or the student), and take turns. Encourage your student to stop the reading at any point and discuss the story. What would he do if he were in this situation? How would he change the story? What does she think will happen next? By inserting one's self into the text, the reader begins to experience the wonder of an alternate world. 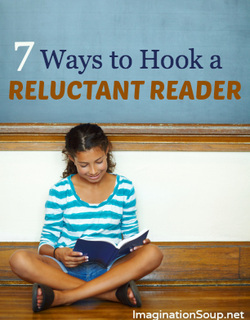 Emphasize that rereading a text is an integral part of learning for everyone. It not only helps one better understand the text, but also allows time for savoring the details and considering larger themes/issues. Does your student say books are boring? Take a look at the following list adapted from imaginationsoup.net! Most kids are silly. Get books that will crack your kids up – no matter what age, gender, or interest. 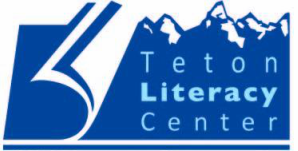 TLC has book clubs for 4th, 5th and 6th grade. Do you think your student will benefit from working with other kids? Talk with program staff to find out if your student qualifies for our small group workshops. Kids love technology. Use that love to develop a love for reading, too. Read articles on the computer. TLC has laptops that you can check out for you and your student during your tutoring session. Graphic novels (full-length comic-style stories) don’t deserve the lack of reading status they’ve been given. They very much count as reading. Why not encourage it your students to try one? 5. Get movies. Want to see the movie? Read the book first. Or vice-versa. But usually the book beats the movie hands-down. Check with TLC staff to see if a book has been made of your student's favorite movie. Make an enticing place for your student to curl up with a good book. Use your spaces and imagination. Their are lots of cozy spaces in TLC, don't feel confined to your tutoring room. Your student will love to hear what you are excited about. Do you have a favorite book? Are you learning something new? Share your interests with your student, they may get hooked as well! motivates your student to move beyond “books are boring”.